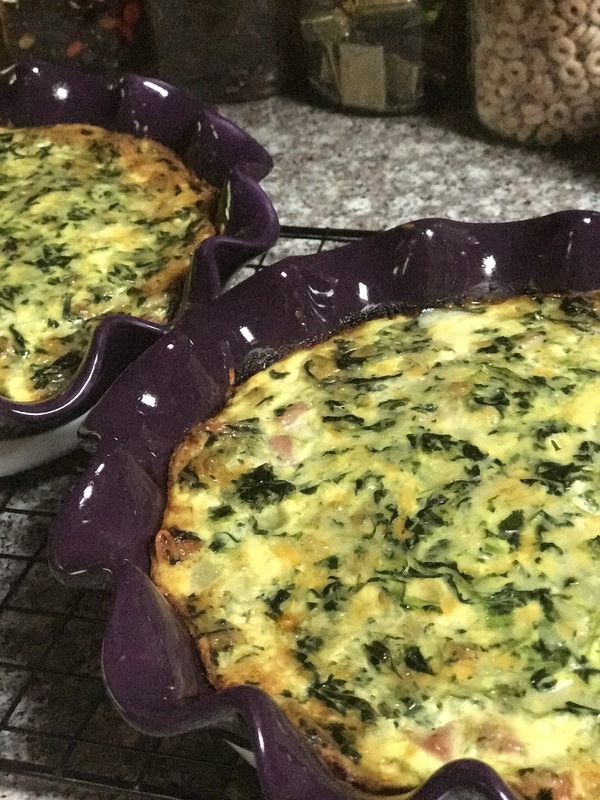 We love quiche for dinner! It’s a protein packed dinner that is easy, versatile, and makes for yummy leftovers. The great thing about quiche is that it can be made with whatever fresh or leftover veggies and or meat you have on hand. We prefer our quiche crustless, which makes it much easier to whip up. Add a tomato salad and you have an effortless weeknight meal. I like my quiche without meat and my husband likes it with meat so we compromise…..lots of veggies and a little meat. 10 oz. 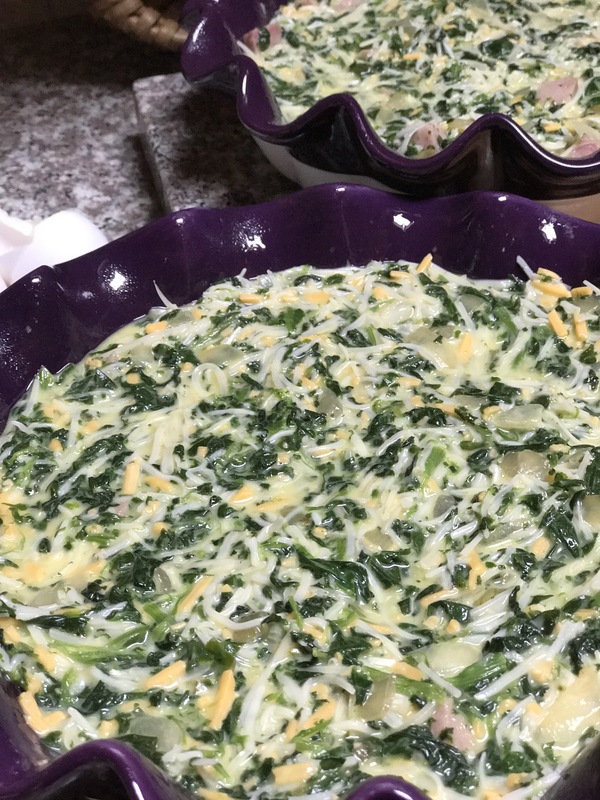 frozen chopped spinach – this makes it spinachy….is that word? ?… you may to cut this back – I love spinach! Saute’ the onions, spinach, and red pepper until all liquid has evaporated. Add the ham the last minute or so and saute with the vegetable. Cool this mixture. Beat the eggs with the milk and fold in the cheese adding the salt and pepper. Fold the spinach mixture in to the eggs. Place the mixture into the pie pan. I usually make two and place one in the freezer. I freeze it unbaked and bake it from frozen adding about 10 minutes or so to the overall baking time.